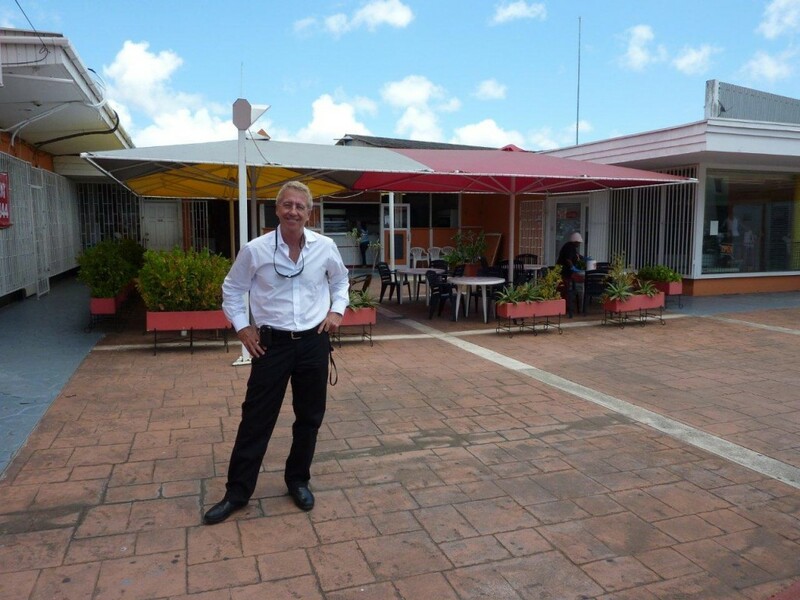 Steven Pinkert frequently travels to Curacao on business and over the years has a favorite restaurant named Warung Jawa. 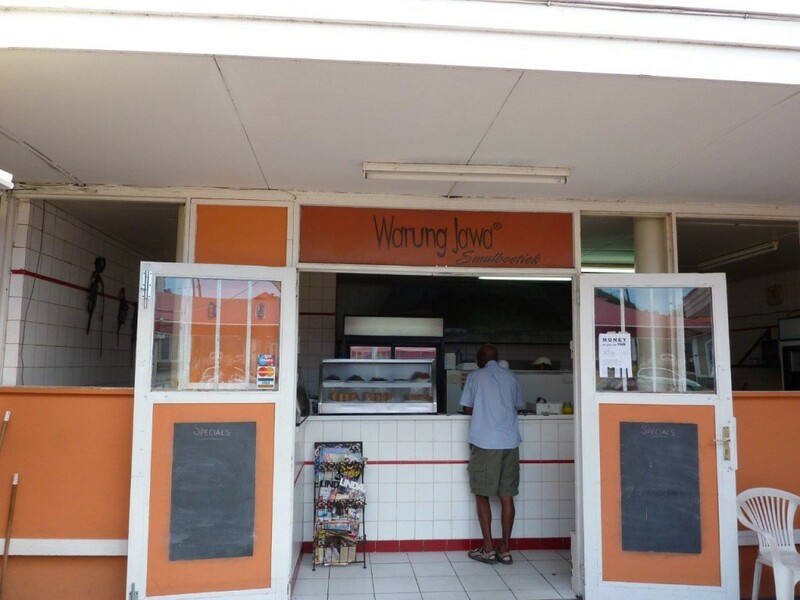 This is a nondescript outdoor restaurant that is only open for lunch but serves fantastic Indonesian cuisine. As you can see from the photos it isn’t fancy but there is fast table service and the food is fantastic. 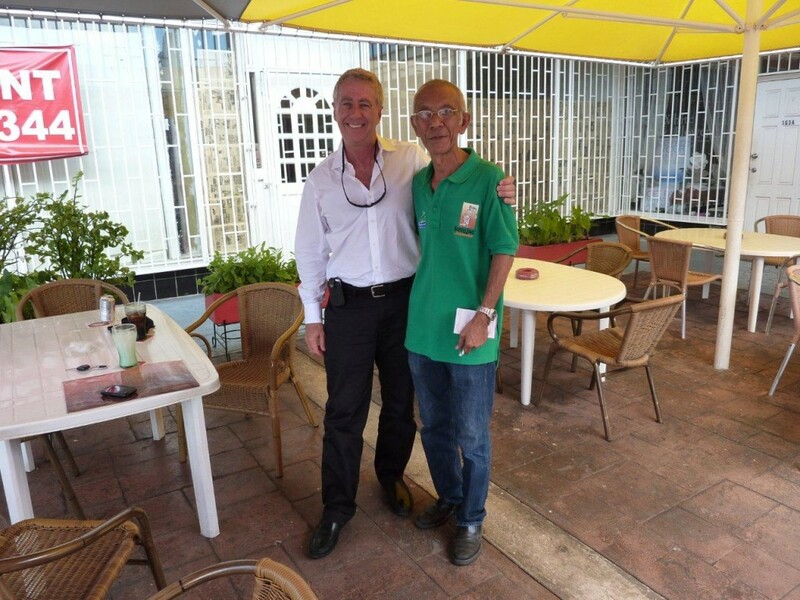 The owner grew up in Suriname and actually went to grade school with Steven’s friend, Maarten. 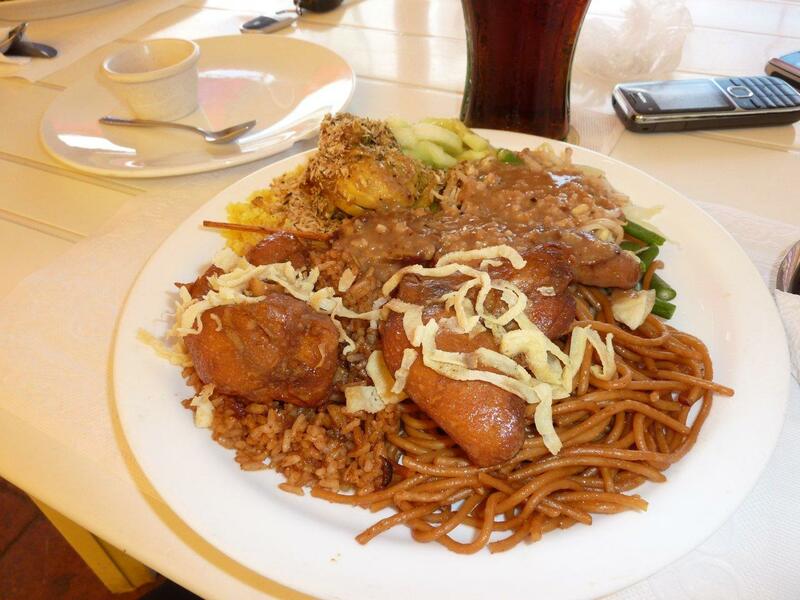 Unfortunately Steven Pinkert is not an expert on Indonesian food. 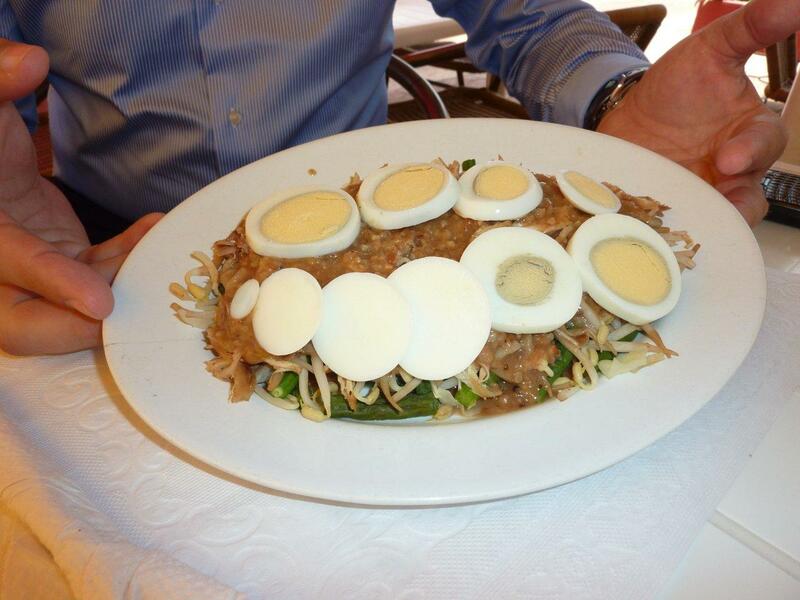 So all he can tell the readers is that he and his friend Vincent ordered an egg covered dishes that looked delicious. The combination plate below that Steven Pinkert ordered has rice, chicken, pork, and noodles. The peanut sauce on the chicken is the best ever. The combination of both heavy and delicate flavors explodes on your palate. Perhaps a reasonable flavor description is a combination of Chinese and Indian cooking. This entry was posted in Food, Travel and tagged Steven D Pinkert, Steven Pinkert by Steven Pinkert. Bookmark the permalink.